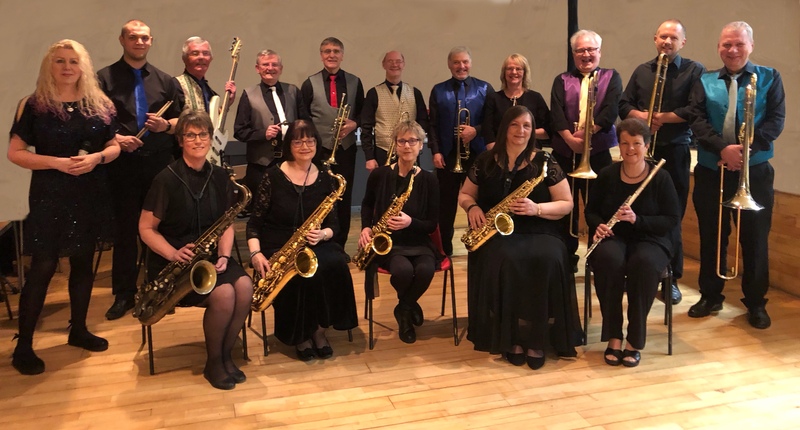 Sundown Swing is a 16-17 piece swing band based in Huddersfield, West Yorkshire. Our current instrumental line up consists of saxophones, trumpets, trombones, flute, keyboards, bass and drums. We also frequently feature our vocalists who delight our audiences with their solos and duets. We are available for all types of function and have had a wonderful reception at all of our previous engagements at parties, clubs, church concerts, weddings, dinners, 1940s evenings and corporate functions. See our list of upcoming engagements to find out where you can hear Sundown Swing. We are constantly adding to our repertoire, but a list of titles currently being played is available to view.